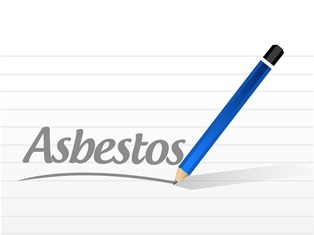 The link between asbestos exposure and diseases such as asbestosis and mesothelioma have been understood for decades, but it’s only in recent years that an explosion of newly-diagnosed mesothelioma cases has occurred. While Nebraska is not a state known for asbestos deposits or asbestos mining operations, occupational exposure is still a risk, especially for workers in certain industries throughout the state. The state ranks 36th in the nation for asbestos-related deaths. At least 230 people died of mesothelioma in Nebraska between 1999 to 2013, and more cases are showing up regularly. People diagnosed with asbestos-related illnesses, especially mesothelioma, are often financially and emotionally drained and have many questions. Here is the information that you need about mesothelioma as a disease, where you may have been exposed to asbestos in Nebraska, where you can seek medical help and support for mesothelioma, and how mesothelioma patients and families can seek legal compensation in a court of law. Mesothelioma is an extremely rare form of cancer that usually affects the lungs. Patients may first experience a cough, chest pain, and/or shortness of breath—symptoms that are common with this disease and may help a doctor make a diagnosis. Pleural mesothelioma is the most common type of mesothelioma, and it is heavily linked to exposure through breathing asbestos particles in the air. This form attacks the lining of the lungs and may cause chest pain and shortness of breath. This type of mesothelioma attacks the tissue surrounding the heart called the pericardium. Symptoms can include chest pain, irregular pulse, and a buildup of fluid around the heart, called pericardial effusion. It is one of the rarest types of mesothelioma. This form of disease attacks the peritoneum, the cellular lining in the abdominal cavity. It is the second-most common form of mesothelioma. It can cause abdominal pain and swelling, ascites (fluid-filled swelling), appetite loss, bowel issues, and other complications. It is associated with asbestos exposure through ingestion in food or water. Extremely rarely, mesothelioma can occur in the testicles of men. This type of mesothelioma is poorly understood, and the symptoms of testicular swelling or pain can be easily mistaken for other diseases. Mesothelioma moves quickly throughout the body, and once it spreads, it can be impossible to remove surgically. Although the average survival time varies based on the individual case and type of mesothelioma present, the long-term outlook is usually poor once a diagnosis has been made. Survival estimates from the American Cancer Society for pleural mesothelioma show that the best chances for survival are when a diagnosis is made at the very earliest stages, with the two-year outlook being under 50 percent survival. The five-year outlook for the earliest stage diagnosis is 16 percent. Those with later-stage mesothelioma diagnoses face significantly lowered survival rates. When the cancerous cells have spread to distant parts of the body, the five-year survival outlook is less than one percent. Many factories, chemical plants, and refineries have used asbestos extensively in their construction due to its insulative and resistant properties. Factory equipment used to make products has often contained asbestos components, as well, particularly in pump gaskets and other machinery. Safety equipment and personal protective gear have also been made of asbestos, particularly when fire and chemical resistance are necessary. Power plants have historically made extensive use of asbestos. Not only does asbestos work well as an electrical insulator, it is also used to mitigate the risk of fire. Nuclear, hydroelectric, coal, and natural gas plants have all been known to contain asbestos or asbestos-bearing materials. Every branch of the military is known to have used asbestos for dozens of applications, particularly in construction. Roofing tiles, wall insulation, sealants, and flooring materials have all been known to contain asbestos. Offutt Air Force Base and the former Lincoln Air Force Base (now Lincoln Airport and Lincoln Air National Guard Base) were both known to contain asbestos, putting veterans at a higher risk than usual for asbestos-related disease. The two primary cities in Nebraska with the most asbestos-related issues have been Lincoln and Omaha. However, exposure can occur in any town or city in the state. Construction workers face a particularly high risk for asbestos-related diseases, especially when performing repair, remodel, or renovation work on older buildings, industrial facilities, or buildings known to contain asbestos or asbestos-bearing materials, including flooring, insulation, roof tiles, or electrical wiring. Patients diagnosed with mesothelioma and family members of those diagnosed may also seek supportive services from the American Cancer Society. Through this organization, they can connect with other local services that may be able to provide assistance with transportation, medical supplies, emotional support groups, and other assistance for those whose lives have been affected by cancer. If you have been diagnosed with mesothelioma or lost a loved one due to this disease, you may be able to file a legal claim to receive compensation for your loss. Because patients don’t often have a lot of time after being diagnosed with mesothelioma, it’s vital they seek legal help and begin the claims process as soon as possible. The laws on mesothelioma claims vary from state to state, but every state has a strict time limit that must be met in order to have a successful claim. In Nebraska, victims have up to four years from the date of initial diagnosis to make a claim involving asbestos exposure. Surviving families who have lost a loved one have two years to make a wrongful death claim due to asbestos exposure. Once this time limit has passed, it is no longer possible to receive compensation. The attorneys at Neblett, Beard & Arsenault understand that mesothelioma patients and their families need compassionate, fast legal help, and we work hard to provide our clients with dependable legal service. When you contact us, we’ll work closely with you and your family to help you get the justice you deserve in a court of law. We work on a contingency-fee basis only, so there are no upfront costs for mesothelioma clients until a settlement is reached. For a free consultation with one of our experienced legal professionals, contact us online or call our office directly at 318.588.6303.